Use pipe cleaners to make a toy for your cat! 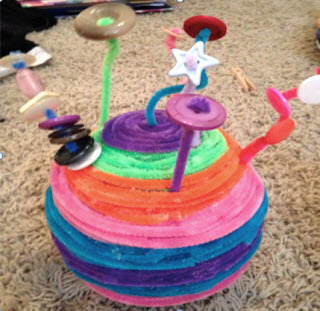 Wipe some glue onto a Styrofoam ball, then wrap colorful pipe cleaners around the ball. Thread some buttons onto the ends of several pipe cleaners, the glue the other end of the pipe cleaners with buttons onto the ball.